Water was what I wanted and I believe, had the whole army been firing at me I would have gotten my canteen filled. Our regiment was going on a run when they crossed this little stream. It was only about a foot from bank to bank, dirty and black by the many feet that had accidentally trod into it. I stopped and scooped out a hole in the mud and put my canteen in to fill it. While doing this, another regiment passed over me and I was cut off from our. I didn’t seem to care. I knew it was ahead there somewhere, and when my canteen was filled on I went again straight ahead, right into the midst of the battle. The balls were hitting everywhere “spit, spat, whiz” they would go singing a long drawn out “ping” as they passed on “Whir-r-r” a shell was going over ahead. It had passed when we heard the sound, but we dodged it just the same, then a cannon ball would go whizzing overhead and another doge. The din was awful. We were in a cornfield that had been planted in an orchard. I got behind an apple tree and wondered what I should do. I still held the case of instruments under my arm and was wishing the Doctor had them wherever he was. The wounded were being assisted or carried past me. I was peering from behind the tree when I heard my name shouted. Turning about I saw one of our surgeons who looked frightened. He beckoned and I ran to him. “We have been looking for you everywhere and Dr. Norris is wild almost, come on quick.” I followed him back about 100 yards to a big barn. A large red blanket had been run up on a pole to denote a hospital and as much as possible to keep either side from firing in that direction. As I handed over the instruments the Dr. gave me a bunch of canteens to get full of water. I started down to the spring house about 25 yards distant and looking inside I found the floor covered with crocks full of milk. I filled up on milk as I was awful hungry and no prospect of food. A nice little stream was running down here and after I drank all the milk I wanted I stepped outside to fill the canteens. About 50 feet from where I was I noticed a bugler get down flat on his stomach to take a drink. I was about to call him to come and get some milk, but the noise was such that I thought he would not hear me, so I held my tongue. I have often thought since that if I had called I might have saved his life. I began filling my canteens and had one or two filled when a shell burst, as it seemed, directly over my head in the air above. I heard some parts of it sound “spat” as it struck the ground. It scared me for a moment but I kept on at my work. Soon I noticed in the water, a slight color and a thread of red that looked like blood. I stood up to see where it might come from and there was the bugler, in the same position, as if drinking, but…[very graphic description] He was dead. A piece of the shell that had brushed over his head had killed him. I took my canteens and got up to the hospital in quick time, reporting the reason for not filling them all. 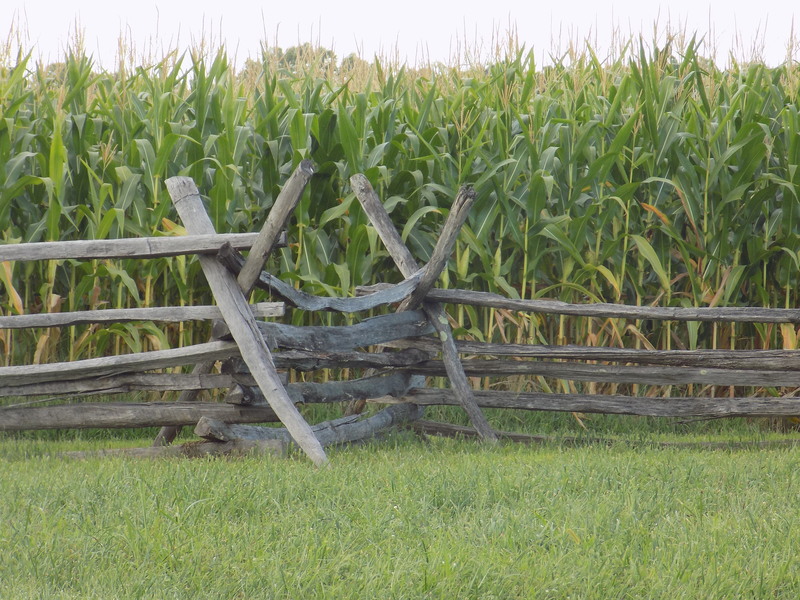 The Battle of Antietam (Sharpsburg) was fought on September 17, 1862, during the 1862 Maryland Campaign. It was the single bloodiest day in American history. 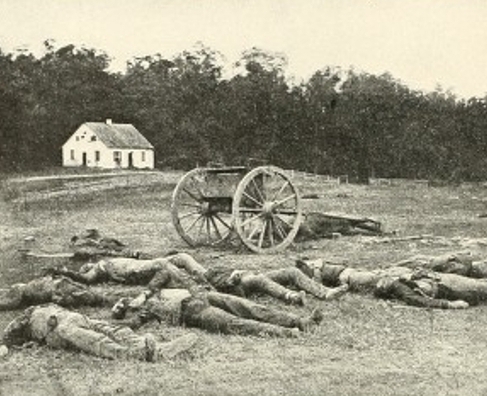 Fighting shifted north to south along the battlelines as the day progressed and over landmarks like North Woods, The Cornfield, Dunker Church, Bloody Lane, and Burnside’s Bridge. By the end of the day, 23,000 Americans were dead, wounded, or missing. The Confederate Army of Northern Virginia led by Robert E. Lee retreated, leaving George B. McClellan and the Union Army of the Potomac commanding the battlefield. President Lincoln claimed a victory and used the fight at Antietam and its outcome as military reasoning to issue an announcement of coming emancipation if the Southern states did not return to the Union. 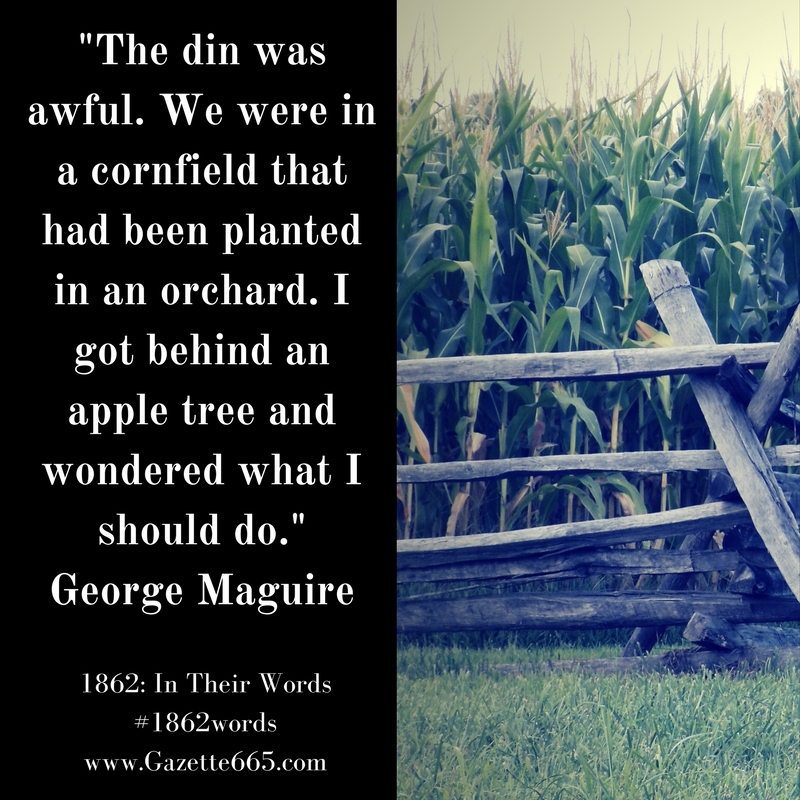 George Maguire (no known relation to the McGuires of Winchester, Virginia) was just fourteen. And technically a civilian. So why was he on the battlefield? George had been following his older brother-in-law through marches and campaigns for over a year. That brother-in-law – Lieutenant Colonel Salome Marsh – served in the 5th Maryland Infantry during the Battle of Antietam. Ordered to stay with the regimental surgeons, George found himself hauling the doctor’s instruments and then helping at a field hospital at the William Roulette Farm. Yes, the battle was fought in northern farmland, in the fields and property of local civilians. Following the battle, George got sent home to Baltimore and he brought some of the first accurate battle news to his family in that city. He spent the majority of the rest of the war serving as a “medical cadet” in a hospital near Baltimore, Maryland. 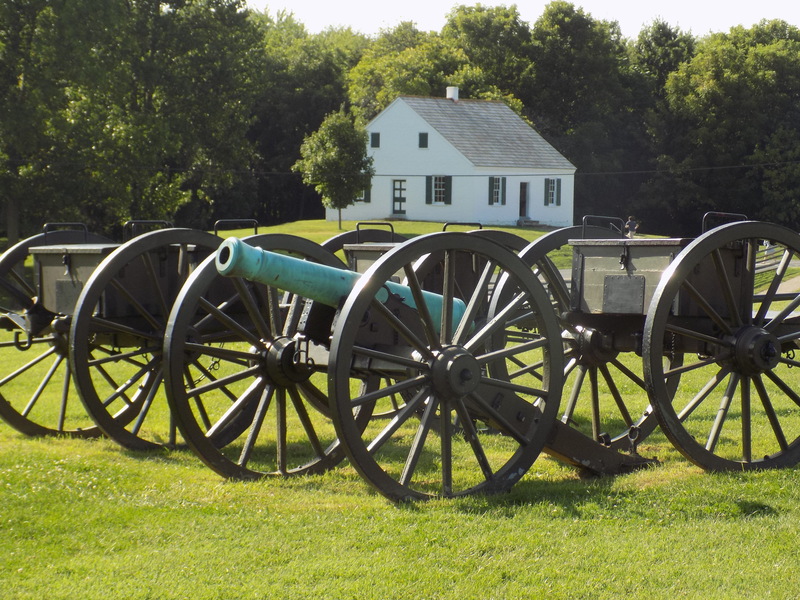 The Battle of Antietam was a “trial-run” of Dr. Jonathan Letterman’s battlefield evacuation system. Letterman was developing a way to move injured soldiers away from the fighting and get them medical care as quickly as possible. I find the medical details in Maguire’s account quite interesting and it’s also notable that he continued to volunteer in the military medical field after Antietam. P.S. Want to see where the Roulette Farm is on the battlefield? Here’s a map from the Antietam National Battlefield; the farm is marked with a #7 and sits in the middle of a highly contested area in 1862.